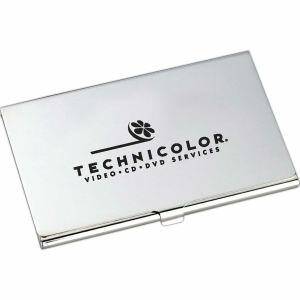 From money clips to travel wallets, and from business card cases to gift sets, our varied selection of custom printed promotional cases is one of the best online. 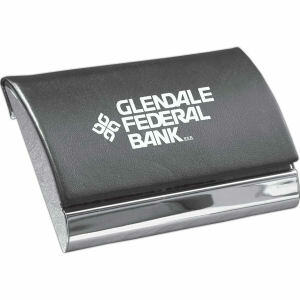 Give a seamless professional appearance at meetings or when traveling with a personalized imprinted case featuring your corporate logo. 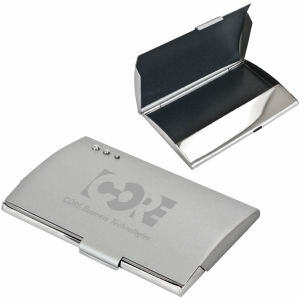 Clients will think highly of your employees when they notice their customized leather business card holders. 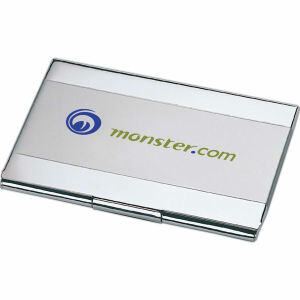 And traveling colleagues will be grateful to have these custom promotional cases, and will show their appreciation by showing off your imprinted logo everywhere they go! 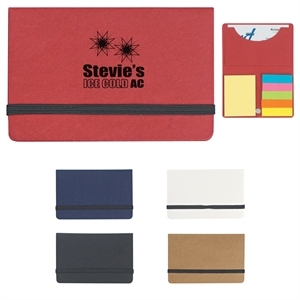 Choose from our extensive selection of high quality promotional cases to imprint with your company name, logo, and, where possible, business contact information. 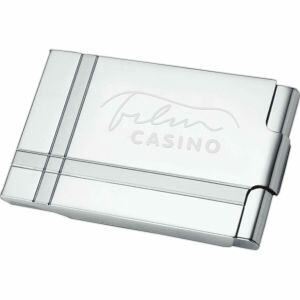 Clients and employees will appreciate receiving a high quality case for their personal items. 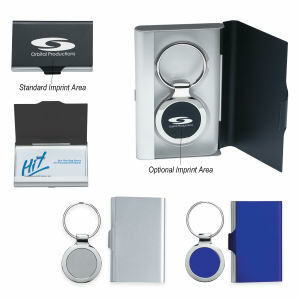 Contact us today to see your customization options!